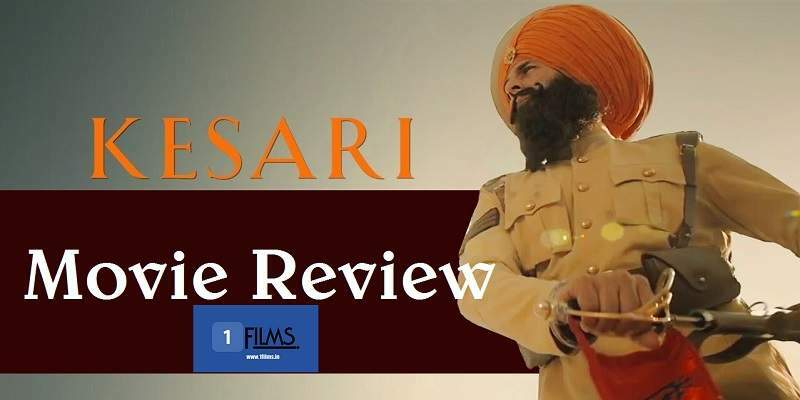 Kesari Movie Review: Kesari is an Entertaining Action Melodrama! The film starts with a segment where Havildar Ishar Singh (Akshay Kumar) saves an Afghan woman who was about to beheaded by the Afghan tribesmen, who were blinded by religion, and headed by a "Mulla". In order to save the woman, Havildar Ishar Singh disobeys the English officer Lawrence's orders to not to meddle in their matters and not save the woman. This insubordination leads to Havildar Ishar Singh being transferred to Saragarhi fort. Kesari starts with a good pace, with action upfront, but the initial segment of the film is quite shallow and overly cinematic. You can see that the movie is trying to set the tone for the rest of the film, and make the action in the latter part of the film believable. But, it is too heroic, cinematic and clichéd to portray something that may have been a real incident; which makes it quite predictable, and honestly could have been done better. But, that is not just with the first action segment, even though the action gets better in the second half, the heroism and the cinematic liberties continue to be the part of the entire second half, which are heavily garnished with jingoistic clap-whistle dialogues. The entire film is pretty jingoistic, but, that is not a problem, as the jingoism here is quite enjoyable! After the pacy start, the movie slowly starts to settle down and get into its groove, in the first half. The film is very evenly paced, and is quite entertaining throughout. The film spends time in adding an emotional foundational base to its 21 lead characters, specially Ishar Singh, so that you can root for them, and feel for them; and it is nicely done as well without making it too evident, keeping the in-your-face approach in restraint. In the film, the 21 soldiers of the '36 Sikh Regiment' fight against the Muslim Afghan tribesmen. The movie didn't seem to have any doubts with the way the Sikh community was to be portrayed and showcased in the film. Sikhs are shown to be courageous, brave and good at heart. And, the film does it very effectively and enthusiastically. But, the movie seemed to tread a real fine line, at least on the surface, when it came to the portrayal of the foreign invader Afghan community, because of their religion. Even though the movie quite clearly paints the heroes and the villains, the good and the bad, it still does a balancing act when it comes to painting the villains, so that it doesn't come across as intentional. Kesari is claimed to be based on an actual event, the 'Battle of Saragarhi, but it definitely does not appear to be an accurate, or even nearly accurate depiction of what may have happened. The amount of cinematic liberties, heroism, melodrama, and some of the details and scenes in the movie will tell you that this film is a largely fictionalized version of events that is made only for entertainment. Historical accuracy, for sure, isn't the strongest point of the film; but, the film never really looked like it was trying to be accurate, as it didn't seem overly concerned with accuracy. And, the film is quite gory and violent for a U/A certified film. The good thing about the film is that it almost gets its act together quite comfortably. The film is well-glued together, and almost none of the scenes come across as out of the place. The acting is good, and along with good costumes, locations and cinematography, makes Kesari a nice film to watch. Background music was ill-timed in some of the scenes, and could have been better. Even though the film is pretty engaging and entertaining for most of its parts, it lacked a certain depth to it, but wasn't really entirely superficial either. But, I felt it definitely needed something more to make it more impactful. Even with all its emotions and melodrama, the film somewhere fails to completely immerse its audience into it for its 150 minutes runtime, and isn't as thumping as it could have been. Akshay Kumar did a good job with his role as Ishar Singh. Parneeti Chopra had nothing much to do, but her character added an emotional quotient to Ishar Singh's character, but could have been played by anybody else; but may be Parineeti is that anybody else. Overall, Kesari is a one time watch, and may not stay in your in memory for a long time after you've watched it.